"If there is a serious disruption at the border we will have prioritization and prioritization will include medicines and medical devices." LONDON — Britain is working on plans to charter airplanes to ensure the continued supply of medicines if the country leaves the European Union without a deal in March. "We are working on ensuring that we have aviation capacity," Health Secretary Matt Hancock told BBC radio on Friday. The Brexit plan appears doomed. And no one knows what'll happen next. Amid fears that British ports may face gridlock should a divorce deal not be agreed, Hancock said that trucks carrying drugs would be fast-tracked. "If there is a serious disruption at the border we will have prioritization and prioritization will include medicines and medical devices," he added. Hancock also said that Britain would have a stockpile of those drugs that can be obtained. 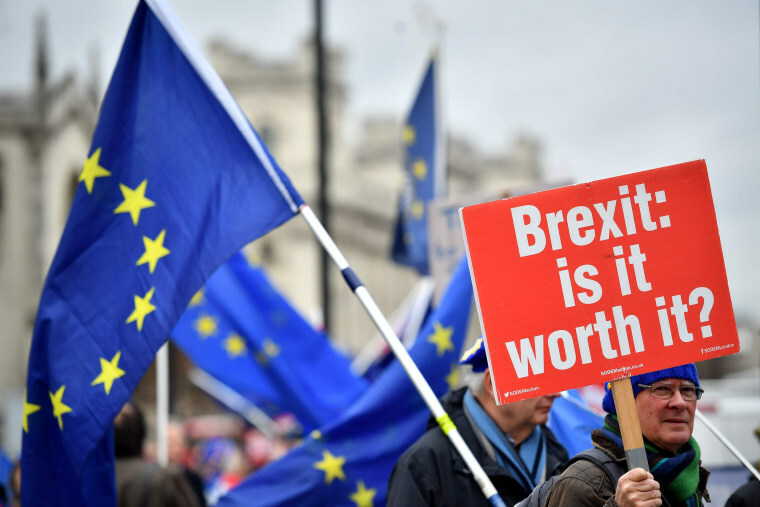 Prime Minister Theresa May's government has agreed on a Brexit deal with Brussels, but there is a strong chance it will be rejected by lawmakers when it is put to a vote next week.